There have been a few posts about the differences between private and state education today. I wanted to try and pull some of them together as there is probably an interesting and enlightening discussion about the differences to be had but PLEASE can we keep it polite. I know this is very emotive for some people but for others who are making a choice we have a moral obligation to be as objective as possible. 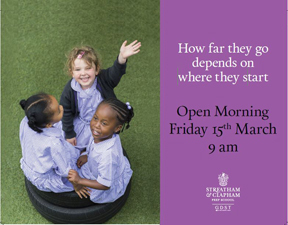 Pre-prep/prep schools have only one main objective and that is to get your child into the next school. They may wrap it up with sport and drama and cake making but they all live and die on their tables of "leavers" and their destinations. Schools publish these and they want you to know that you are buying a "step" up into the next school. One of the big misconceptions of state education is that a great/excellent state primary is like a "private school". Not because it's better or worse but because it's different. I'll say this again, not because its better or worse, but because it's different. A state school does not prepare you for the "next step" in the same way as the state sector because it doesn't (anymore) have a gateway exam at 11. For example, one of the local prep schools in Nappy Valley is now running practice exam sessions EVERY WEEK for it's 10 year olds to get them ready for their 11+. They are also running multiple mock interviews etc etc so that the child is absolutely prepared for their interview/exam. Some local state schools will have a high number of their pupils making it in to the private sector, that's great, but they do not prepare their pupils in the same way. That is not a judgement, it's a statement of fact. They would not be doing their jobs if they were. I tend to agree. I think it is dependant on your personal experience and what you want for your child . We are still a couple of years away from starting school but have at the moment decided to send our son to a private school because we want him to have that network, pastoral care and a guided path on to the next level. I havent studied in state schools in UK , so not much idea about those but I have been in classrooms with 30 other children and did not like it . Therefore, smaller classrooms appeal to me . As a private school customer, but a long way from the 'next step' at the moment, I would say what we have bought is the well-rounded education which will set our son up for life. I guess that later the obsession with the next school will start but right now its the quality of the teaching, the better teacher/assistant to pupil ratios (and hence more individual attention), the range of tangible subjects taught (aka 'breadth of the curriculum') and the high expectations of the pupils are things that keep us writing the cheques each term. I guess by about year 3 or 4 people are worrying about the next school. 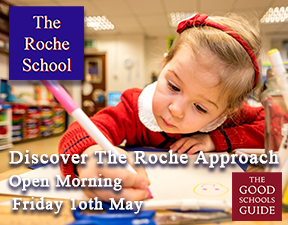 At the early stages I think its all about allowing children to develop to the best of their ability rather than pigeonholing them into a path leading to the parent's preferred choice of school. I am a product of a very expensive private education. I had barely any friends who were state educated until very recently and it was absolutely normal in my social group for my peers to send their own children to private schools, as their families had been doing for a long time. My children started their educational career in the private sector, but after a couple of career blips and one major financial disaster, we had to take them out and we enrolled them at one of the highly rated local state schools (which we were very fortunate to get into). There were quite a number of refugees from the private sector into the school at around that time. Initially, all seemed well as the children were very happy and found it easy to make friends. I didn't have any concerns about the workload and some of the examples of my children's work that I saw was impressive. However, as one of my children progressed into year 4, I began to have concerns over the disparity between the state and private school workloads, not to mention that even into year 6 school hours are pretty much the same as for reception at this state school. I then realised that many parents in my child's class had reserved the services of private tutors to supplement their state learning, well in advance. Indeed, I recently overheard one parent at my children's school say that she believes her child is the only child in her class not to have an extra-curricular private tutor. The school is happy, possibly a little smug and complacent, as approximately half of the pupils go on to the private sector. There is a very active local parent body which supports the school with a huge input of time and fundraising. It could be so much better, but probably not without extra resources and maybe higher pay for teachers. It seems to do extremely well compared with national level, but some parents secretly feel that they would like the school to compete with a private school. And that is the mirage, or trap, alluded to by the original poster. I would concur with the original poster's comments that these good state schools, however good, do not prepare children for selective entry at secondary level. Mind you, considering we are saving up to £25,000 gross income per annum per child, who are we to complain ? As someone poised to make the decision - and nervously waiting for our Thomas' assessment - this is fascinating reading. Any thoughts on the private schools themselves - for us, Eaton House the Manor, Thomas', Dolphin or Belleville? Stripeysocks wrote: Any thoughts on the private schools themselves - for us, Eaton House the Manor, Thomas', Dolphin or Belleville? Belleville is a state school, not an independent/private one. If you are planning private secondary, think about the end game, especially if you have boys. Do you want your children to go to the classic "boarding schools" such as Eton, Harrow, Marlborough, Sherborne, Winchester? If so, there is no point going to a school which ends at 11 or specialises in 11+. If you have a daughter who can go at 11+ to a boarding girls school or a London day school then you have much more flexibility. 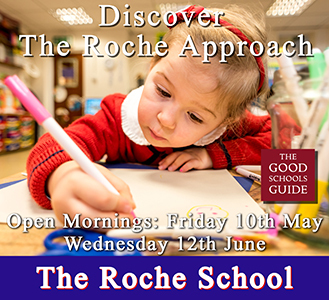 If you are planning London day school for a boy, then there is no point sending them to a school which specialises in 13+ such as Northcote Lodge. Work out your end game and make sure your pre-prep/prep school choice will service it. So complicated! And I have a couple of advanced degrees . Ok, so if we are aiming for London day schools for our boy we should be all right with Eaton House or Thomas's? Phew. Now just a small matter of getting in. And paying the fees. Do not be fooled into thinking that you will not also be paying for a private tutor on top of school fees. Every family I know used or is using a private tutor to help their children get into selective secondary schools. I know 2 private preps and one state school where almost every child is tutored - its madness but because everyone does it people feel they have no choice. Speak to the tutors and they will proudly tell you how many children they help and what schools they attend. What the previous poster said: You will still have a private academic tutor whether you are in private or state. Given the very threads in private schools and next step ones... Can someone tell us which secondary are destination schools for our private primaries please for boys AND girls? Hi SG. Most of the school from your list will have the secondary schools leavers go to, listed on their website. When I was looking I found it on all the websites with the exception of Thomas' which would not send it to me until we had the assessement which I thought was a bit odd, but this might have changed now as this was a few years ago! Some of the schools have really detailed lists for about the last 10 years.